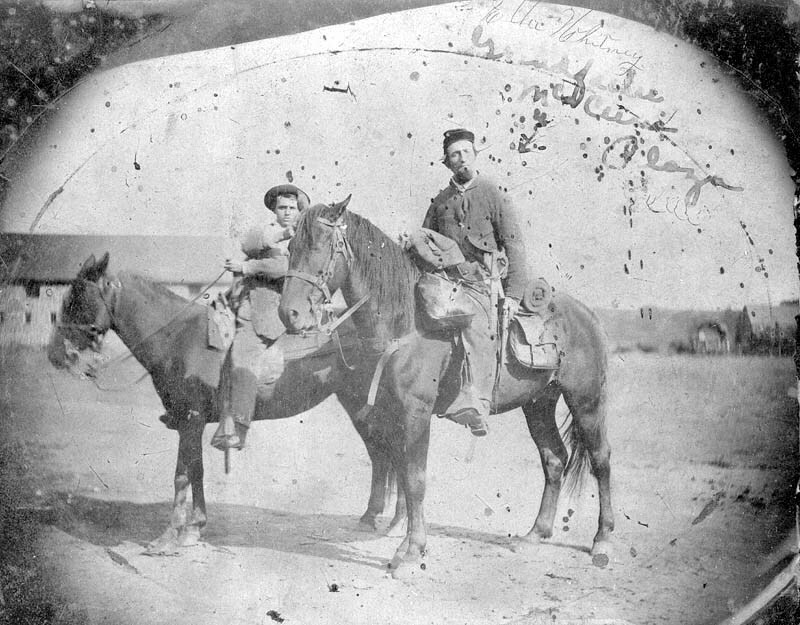 Some Irish soldiers of the American Civil War were little more than boys. Despite their youth, they often fervently supported the cause for which they fought. Timothy Dougherty was one such emigrant soldier. 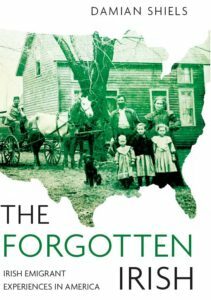 His antebellum family story is one of hardship and hard work– typical of that of many Irish immigrants in America. 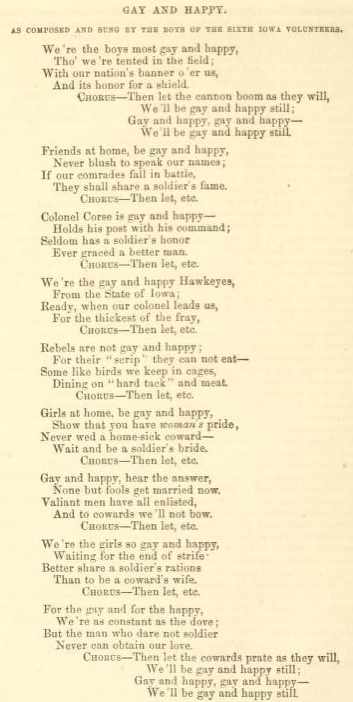 During the war, he took the opportunity of his final letters home to display his fervent belief in the war effort, not only in words, but also in lyrics. Timothy Dougherty Dependent Mother’s Pension File WC115555. The National Tribune 3rd February 1910. Glad of St. Cloud. The Daily Herald 30th May 1924. Observer’s Notes. 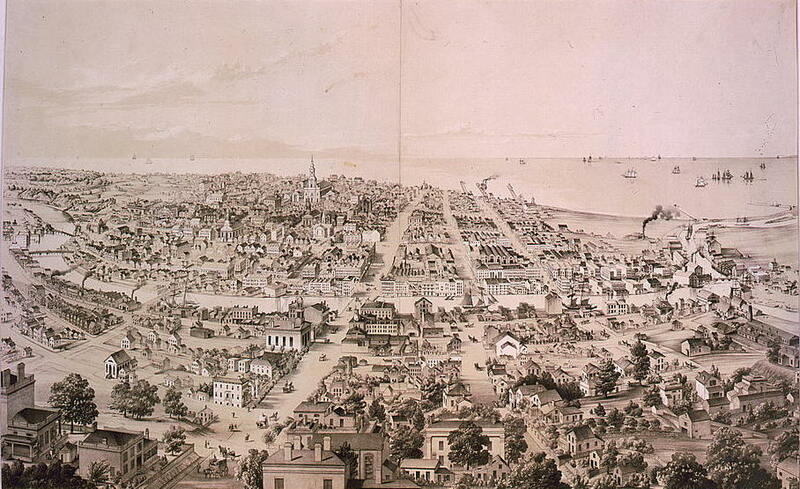 Hayward, J Henry 1864. Poetical Pen-Pictures of the War: Selected from Our Union Poets. 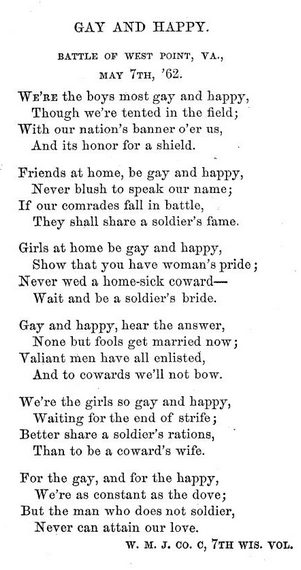 Howe, Henry 1867. The Times of the Rebellion in the West: A Collection of Miscellanies. Michno, Gregory F. 2003. Encyclopedia of Indian Wars: Western Battles and Skirmishes, 1850-1890. Nye, Wilbur Sturtevant 1968. 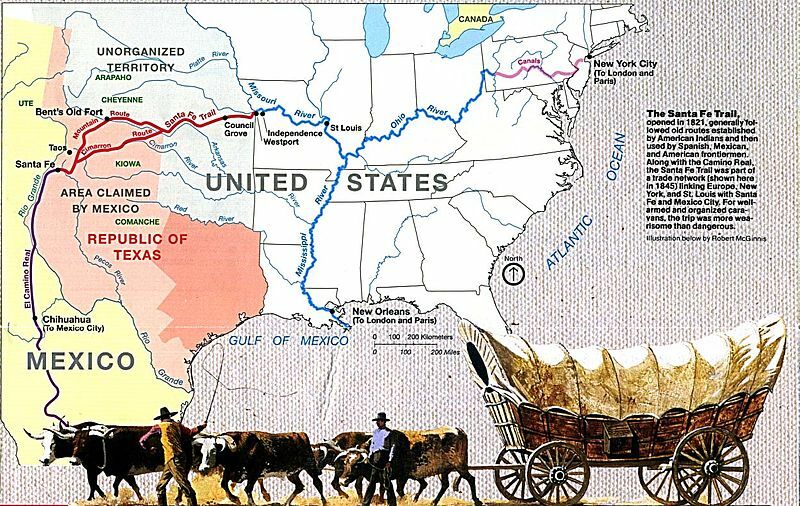 Plains Indian Raiders: The Final Phases of Warfare from The Arkansas to The Red River. John Hopkins. Levy Sheet Music Collection. 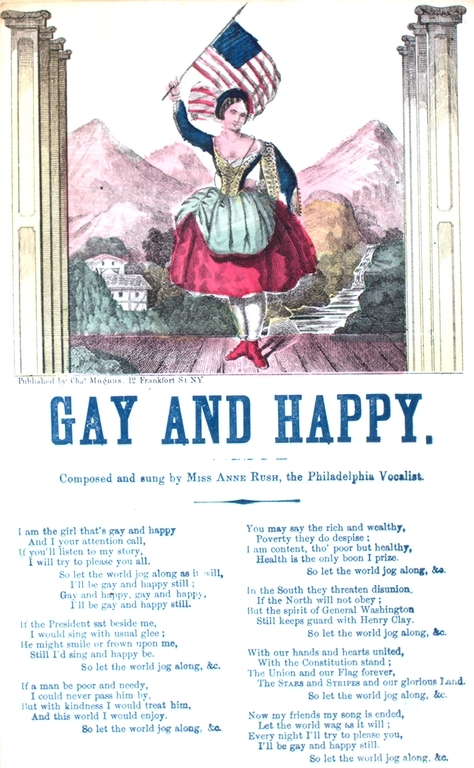 Gay and Happy. ZSR Library. 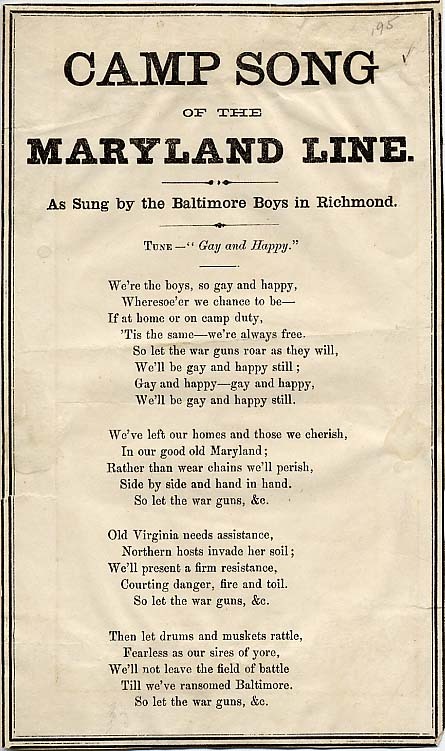 Camp Song of the Maryland Line. Thanks Joe! I though this might sound familiar to you! I didn’t realise you had worked so closely with the 3rd Wisconsin Cavalry- have you ever been out to where Fort Zarah was? I was looking for what it might look like today but could find nothing on it. Thank you for another great post. Do you know from which county the Doughertys emigrated? I ask because my great-great-grandfather was Denis Dougherty of Co. Donegal. 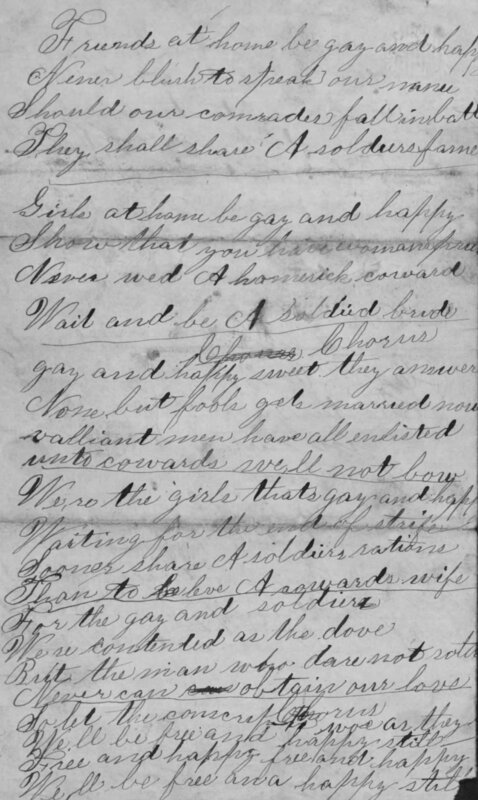 Timothy’s father may have been related to my great-grandmother who emigrated to Canada during or immediately after the famine, and married my great-grandfather, Joseph Franklin, in Toronto in 1855. She was about 18 at the time. Thanks for the comment! I don’t unfortunately, though the North-West is a distinct possibility. It can be a very frustrating element of many of these files that unless they were married in Ireland their county of origin can elude us. It may be recorded on Timothy’s original muster, but again this is not always the case. Another great story. Those pension files are rich.